Apply to join a limited-space workshop on Wednesday, May 22, from 9–11 AM. Check out the description below and, if attending this 2-hour, 2-CEU workshop interests you, please fill out the application. Those who are selected will be informed well ahead of the Symposium for planning your day on Wednesday. This session is accredited for 2 CEUs through General Mills. Single-nutrient ‘villains’ and ‘heroes’ may be a popular trend in the media, on social media and even by some health professionals, but this approach does not consider the entire nutrient offering of a given food. ‘Clean’ labels, cutting out sugar or avoiding ‘processed’ foods might seem like the magical answer to a healthy diet, but the truth is that taking a more nutrient dense approach can help people make more informed food choices and build healthier dietary patterns. 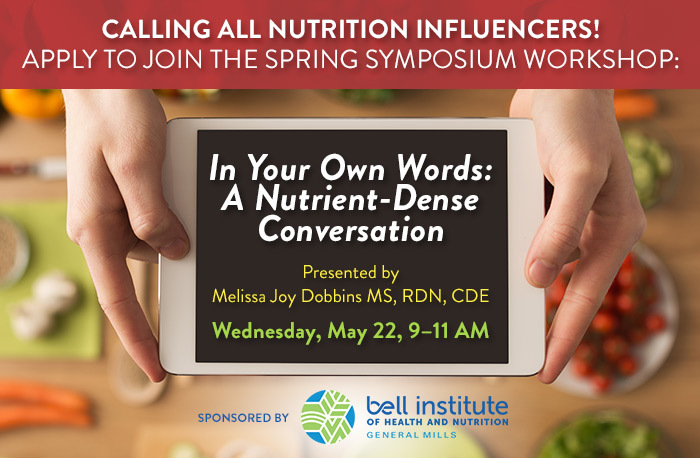 This 2-hour interactive workshop will highlight the benefits of a nutrient-dense approach for a more productive and meaningful nutrition conversation. 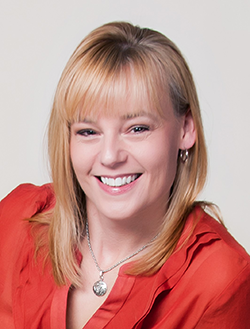 Whether you work with individual clients, traditional media outlets or social media platforms, engaging your audience to shift their focus away from single nutrients and toward a more comprehensive approach can help empower them to build a healthier dietary pattern. Participants will learn and practice strategies to translate the nutrient density science into their own words and walk away with content/messages that can be utilized in a variety of ways including traditional media, social media, presentations, blogs, videos and more. Even seasoned communicators can benefit from the opportunity to practice incorporating stories and compelling language into their messaging/content. Discuss the concept of nutrient density, and recognize how shifting to nutrient-dense foods helps meet Dietary Guidelines recommendations. Practice translating the science of nutrient density into your own words to utilize in nutrition communications outreach efforts. Apply specific techniques to create more concise, compelling, meaningful, and memorable nutrition messages and content.